By creating individual user accounts for each person who you wish to be able to update you’re website you are able to control what they are able to edit. For example while you have full access to your site, you may want your staff the be able to update content, but not change the theme or add plugins. 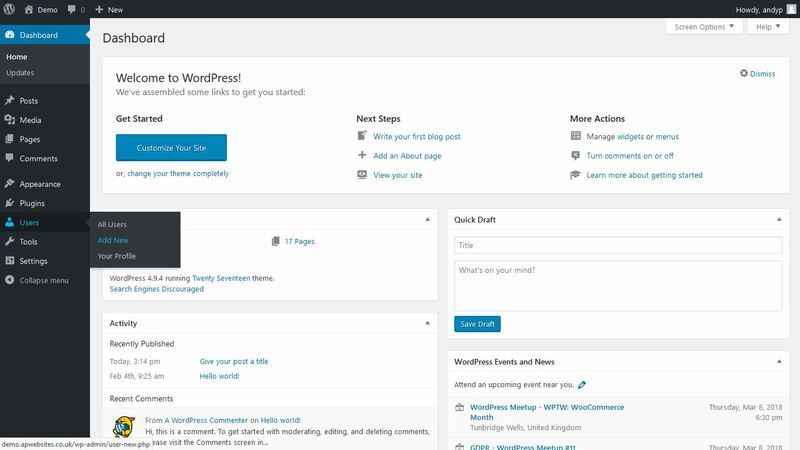 A default WordPress installation has 5 user roles. The administrator has full access to the site, can change content and also any of the settings. This means the administrator can also break the site and as such should be reserved for the site owner. Editors have full access to the sites content, but can not change settings such as plugins and themes. Authors can create their own content and publish it but they can not edit or delete the content made by others or access any of the settings. Contributors can create content but they cannot publish it, a user with a higher permission level is needed to publish anything they create. Subscribers can create accounts but not create content, this is useful if you want people to log in before viewing any content. 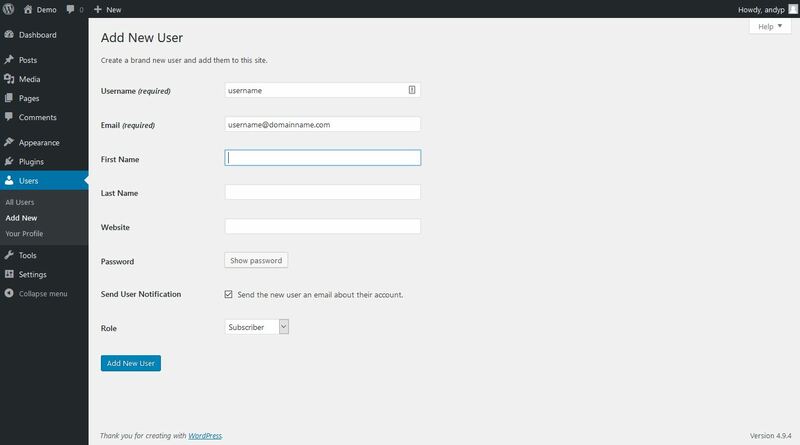 To add a new user to your WordPress website follow the steps below. 1. From the WordPress dashboard select “Users” then “Add New”. 2. Fill in the username and email address (The other fields are optional). 3. Click the [Show Password] button and enter a password of your choosing. 4. Choose a user role from the drop down menu then click [Add New User] to add the new user account to your website.